The use by Westerners of the word hudna highlights an anomaly. Whenever journalists, diplomats, or commentators covering the Middle East use a non-English word, it will almost always be Arabic or perhaps Persian; seldom do they use any Hebrew words. Never has a U.S. or British newspaper, for example, used the Hebrew word for cease-fire (hafsakat esh). This is odd as Israel is the other side to these cease-fires. The majority of Arabic terms reproduced in Western language newspapers are concerned with either military topics (jihad, mujahideen, fida'iyin, shahid) or religious affairs (fatwa, mulla, ulema, ayatollah, Shari'a, Allahu akbar). There is nothing wrong with borrowing Arabic words. However, doing so without understanding the word's nuance and historical development will render deficient any understanding of that word's true meaning. Here, it might be possible to consider hudna somewhat of an exception—it can be translated accurately as truce or cease-fire. Its contemporary usage — at least in English and other European languages — is exclusive to the conflict between Israel and its adversaries, whether Islamist terror groups in Gaza, the West Bank, or southern Lebanon, or states such as Syria. In Iran, it is used alongside the Persian term aramesh. Still, hudna retains a historical context that colors its meaning, if not in Western papers, then in Arabs' understanding. The concept of hudna deserves a close look: It is not a Qur'anic term, nor is it the only Arabic word for a cease-fire or truce; others include: muhadana, muwada'a, muhla, musalaha, musalama, mutaraka, and sulh. But hudna is the most prominent. It is the first word used in Muslim history to mean cease-fire, specifically in the context of the seventh century Truce or Treaty of al-Hudaybiyya, often termed the Sulh al-Hudaybiyya (peace of al-Hudaybiyya). Named after a village outside Mecca, the truce came six years after Muhammad and his followers abandoned Mecca for Yathrib, today's Medina. This move, known as the hijra (emigration) is of enormous significance for the classical understanding of jihad, inasmuch as it sets a pattern of retreat followed by regrouping and rearming, which permits an attack on the territory previously left behind. In March 628 C.E., Muhammad and his followers sought to return to Mecca to perform a pilgrimage. At Hudaybiyya, Muhammad "marched till he reached al-Hudaybiyya which lies at the limit of the Haram [sacred territory of Mecca] area at a distance of nine miles from Mecca." Muhammad and the rulers of Mecca, most of whom had yet to convert to Islam, negotiated a truce, the essence of which was to permit the Muslims to return unarmed on pilgrimage each year for the next decade. It came to an end two years later, however, following an infraction by a tribe allied to the Meccans. In 630, Muhammad entered Mecca with a small, armed force and took the city peacefully. Hudna, in other words, amounted to a temporary truce. Lastly, all the existing so-called "Muslim" societies are also jahili societies. We classify them among jahili societies not because they believe in other deities besides God or because they worship anyone other than God, but because their way of life is not based on submission to God alone. Although they believe in the unity of God, still they have relegated the legislative attribute of God to others and submit to this authority, and from this authority they derive their systems, their traditions and customs, their laws, their values and standards, and almost every practice of life. For Qutb's fellow travelers and intellectual successors, Muslim countries that are not theocracies—any state except Iran, Saudi Arabia to a limited degree, or Sudan—are treated as though they had reverted to paganism. Over the course of history, hudna became the standard term to describe a cessation of hostilities during jihad. Muslims distinguished the hudna from other forms of disengagement, such as those applied to tribal feuds, clashes between city factions, rebellions against the monarch or his provincial governors, or fitna, sedition or civil strife. Fitna was the greatest fear of classical Muslim society, which aspired above all things for perfect order both under a caliph or sultan and under religious law as mediated by the ulema or religious scholars, and, more narrowly, the fuqaha or jurisprudents. By being unaware of fitna, most journalists ignore something vital to the course of Islamic civilization and the development of Islamic thought. For all the greatness of their architecture, scholarship, and literature, traditional Islamic societies were prey to disintegration. Muslim societies lacked the stability of China. Western societies overcame such tensions by creating nation-states. This did not mean that either Chinese power or European states remained constant over time, only that they were remarkably stable when compared to Muslim dynasties—at least those that arose before gunpowder enabled leaders to retain control through sheer force. In practice, a unitary Islamic empire ruled by a single caliph lasted for only a short time. When Muhammad died in 632, he was succeeded by the first of four "rightly guided" caliphs. Together, these men ruled the state of Islam for about thirty years although only one died peacefully in his bed. Fitna began during the reign of the fourth caliph, 'Ali, regarded by the Shi'a as the first of their twelve imams. But more than religious divisions split the Islamic world. Upon 'Ali's death, the caliphate passed to the Damascus-based Umayyad dynasty (661-750), then to the Abbasids (750-1258) who built a new capital in Baghdad. As the Abbasid caliphate weakened, minor dynasties rose to dominate regionally throughout the greater Islamic empire. The caliph may have remained the nominal overlord but, in practice, he had little power. Abbasid rule—and, in some ways, the caliphate itself—came to an end when a Mongol army killed the last caliph and sacked much of the imperial city. But, since the tenth century, the empire had suffered factionalism and the rise of new dynasties paying only symbolic allegiance to the caliph in Baghdad. The Mongol attack ended even the illusion of unitary rule, and led to a steady flux and reflux of dynasties. Competing armies made life insecure in many parts of the Islamic heartland. The Ottoman revival of the caliphate was more symbolic than actual; the caliphate—which Atatürk abolished in 1924—never again approached the power of the sultans or regional leaders. Ibn Khaldun sees the historical process as one of constant cyclical change, due mainly to the interaction of two groups, nomads and townspeople. These form the two poles of his mental map; peasants are in between, supplying the towns with food and tax revenue and taking handicrafts in return. Nomads are rough, savage and uncultured, and their presence is always inimical to civilization; however, they are hardy, frugal, uncorrupted in morals, freedom-loving and self-reliant, and so make excellent fighters. In addition, they have a strong sense of 'asabiya, which can be translated as "group cohesion" or "social solidarity." This greatly enhances their military potential. Towns, by contrast, are the seats of the crafts, the sciences, the arts, and culture. Yet luxury corrupts them, and as a result they become a liability to the state, like women and children who need to be protected. Solidarity is completely relaxed and the arts of defending oneself and of attacking the enemy are forgotten, so they are no match for conquering nomads. Ibn Khaldun's observations were accurate, but they were not what Muslim clerics and statesmen wanted to hear. For them, the ideal of a single umma (the international community of believers) remained an essential guide to how the world was supposed to work. God perfected His religion in Islam, and therefore, it was logical that Muslims would progress steadily through to the end of time. Progress would occur externally through conquest and conversion, often through trade and preaching, while internally, Islam would enjoy consolidation. The notion of the rise and fall of Islamic states was disturbing to Muslims: How could men speak of a single umma when Islamic lands were divided into multiple polities? And, in the absence of a unitary state, where was the religio-political order that Muhammad had created? Such perfection could not be achieved so long as Muslim states fought Muslim states. A single, recognized authority for the realm of Islam was necessary to counter such divisiveness. It is significant that the only major schism to divide Muslims, the rift between Sunnis and Shi'a, began, not over a theological point, but rather over an argument as to who was the true leader of the faith. Particularly for those on the fringes of the realm of Islam, one of the principal ways in which the Islamic state was able to assert its sense of strength and ever-advancing rule was by waging jihad. Jurists agreed that the caliph or another legitimate ruler authorized by the caliph should raid contiguous non-Muslim territory once a year in order to convert unbelievers or force their submission. Numerous jihad states came into being, their existence justified only by their undertaking of the communal duty to fight unbelievers. Should a Muslim victory seem remote, the caliph could declare a truce in the interests of the umma. Rudolph Peters, Islamic law professor at the University of Amsterdam states, "According to some schools of law, a truce must be concluded for a specified period of time, no longer than ten years." Hanafi law, however, permits the Muslims to terminate a truce arbitrarily: The "imam may denounce the armistice whenever the continuation of warfare is more favorable for the Moslems than the continuation of peace," he continues. Such a truce is necessary when the Muslims are weak relative to their enemies. It can also occur when there is fitna within an Islamic state. These truces serve as protection against further violence to enable Muslims to regroup and gather their strength, whereupon they can issue a fresh declaration of jihad. Such a treaty is a hudna, distinct from sulh where the non-Muslim state pays tribute to a more powerful Muslim one, or an 'ahd, a covenant of security, in which protection for Muslims is reciprocated. Islam is the blueprint of a social order. It holds that a set of rules exists, eternal, divinely ordained, and independent of the will of man, which defines the proper ordering of society. … These rules are to be implemented throughout social life. It is a highly prescriptive religion in which church and state are never wholly separated. Rabbinical Judaism is a similarly prescriptive and legalistic faith but, until the creation of the state of Israel, had no bearing on any post-classical state. And since the nineteenth century, Judaism has produced movements (Conservative, Reform, and even humanistic) consciously responsive to the changing needs of modern society, something Islam has yet to do. For pious Muslims, Muhammad did not just bring a message for the salvation of men's souls but also a call (da'wa, proselytizing for Islam) for the creation of a divine society on earth. To the extent that Islam offers salvation, it has to come through the act of conversion—but whether voluntary or forced makes no difference. By virtue of reciting the profession of faith ("I bear witness that there is no god but God, I bear witness that Muhammad is the Messenger of God"), the convert is saved from death and is guaranteed a place in paradise. The term islam itself means "submission" and applies both to the individual's submitting to God and a society's acceptance of conquest by Muslim armies. Thus, the dar al-Islam (the realm of submission) signifies territory ruled (or once ruled) by Muslims while territory ruled by unbelievers is dar al-Harb (the realm of war) although some jurists hold that territory under the rule of unbelievers may be treated as dar al-Islam if the infidels allow Muslims to worship freely and perform other religious duties. The salvific community is, strictly speaking, the Islamic umma, an overarching nation whose membership depends not on nationality, language, race, or tribe but only on faith. Jews and Christians who have refused to convert but have accepted the role of dhimmis, protected but restricted peoples, live and work within the umma but are not members of it. Unlike immigrants into modern Western states who acquire citizenship after a certain number of years, dhimmis can only become full citizens of an Islamic state by converting. Thus, the Baha'is in Iran and Egypt, the Ahmadis in Pakistan, and Christians throughout much of the region remain second-class citizens and are citizens of the nation-state alone. In Egypt, until 2008, even native-born Baha'is were unable to obtain identification cards that would allow them to access a wide range of public services, including health care and education. The expulsion of Jews from all Arab countries after 1948 was prompted by religious considerations, given that those expelled were not Israelis, and the countries involved had suffered no territorial loss. Perceived from the perspective of the European Westphalian state system, the establishment of Israel was a legal outcome of the dismemberment of the Ottoman Empire and the creation of a group of short-term mandates, but throughout the Islamic world, it has been perceived as a lesion because it damages the umma. All societies have a "Golden Age," a time when a just ruler presided over happy and prosperous subjects, when the weather was always fair and peace assured. Some religions dream of a future age when heaven is reflected on earth. Islam is no exception, but its chief framework for such visions is the umma and the belief that Islam will one day conquer the world. However it happens, such a conquest will lead to the normalization of the world within Islam. This is apparent in a contemporary interview with Ayat Allah Kamil, a young Palestinian woman who had tried to carry out a suicide bombing. Her Israeli interviewer asked, "Do you have any dreams for the future?" She responded, "Of the world becoming Islamic, a world in which we will all live in peace, joy, and harmony, all of us, human beings, animals, flowers, plants, and stones. Islam will even bring peace to vegetables and animals, the grass and the stones ... And you'll be able to remain Jewish, whatever you want; it doesn't matter but in an Islamic world." Religion can influence the nature of such a model; when 'asabiya is reinforced by religion, its strength is multiplied, and great empires can be founded. Religion can also reinforce the cohesion of an established state. Yet the endless cycle of flowering and decay shows no evolution or progress except for that from the primitive to civilized society. In the modern period, these disparate strands come together in a special way that makes this the most critical epoch in Muslim history. By the eighteenth century, if not earlier, Muslims were no longer among the most powerful peoples. In the twentieth century, almost all the old Muslim assumptions about mankind's direction were abolished. Most Muslim countries passed under Christian control, a direct contradiction to the doctrine of Islamic supremacy. By the end of World War I, not only had the last Islamic empire dissolved, but a hodgepodge of new nation-states replaced it. This contradicted the principle of a single umma and made the execution of any form of defensive jihad against the conquerors difficult. There was no single leader to unite all Muslims to combat the infidel. The kings and presidents who took the mantle of the new states and owed their thrones to Western intervention had no wish, let alone the ability, to carry out jihad. Since apostasy in Islam is not merely a private or ecclesiastical affair (by withdrawal of church membership, for example) as it is in Western society, the state must act. Apostasy is treason towards Moslem society (the "Umma") and the undermining of the Moslem state, for Islam is the buttress of society and the state itself. Apostasy erodes and shakes the foundations of the order of society—because it is treason, the state must prosecute it. This rankled the pious. To become the ally of a Christian power contradicted everything for which Islam stood. If Christians were allies, impregnable, or in a long-term treaty relationship, what would happen to the doctrine and practice of jihad? What would happen to the mission of making the entire globe one Islamic entity? In this context, the establishment of Israel rankled. The long-despised Jews not only had a national home but one built on land that Muslims considered to "belong" to Islam since the Arab conquests of the seventh century. Against such an abomination, jihad could be the only solution. Attitudes had evolved over time. During the 1930s, Palestinian Arabs under the leadership of the Hajj Amin al-Husseini, the Mufti of Jerusalem, had embraced a great deal of Nazi ideology. Many Arabs still take inspiration from the Third Reich, and Arab speech and iconography have borrowed heavily from European anti-Semitism. The Jew became the hook-nosed subject of Der Stürmer newspaper and Nazi propaganda films. He became a master conspirator working on the orders of a secret cabal, a myth imported from Russia and still widely disseminated in bestselling Arabic translations of the literary fraud The Protocols of the Elders of Zion. Recent pictures show Hezbollah fighters, Fatah members, and Palestinian Authority policemen using the Nazi salute. However, this acquired anti-Semitism creates numerous problems for Arab anti-Zionists. Western anti-Semitism is racist; not even a Jew who had abandoned his faith or converted to Christianity was spared by Hitler's racist doctrine of the Jew as üntermensch. Whereas a Jew under Islam had the options of conversion or life as a dhimmi, a Jew in German-occupied Europe had no choice at all. Once Israel was established, Arabs became anti-Semites and called not only for the extermination of Israel but also for the annihilation of all Jews living there. This has made the possibility of a truce even more remote since it has an all-or-nothing quality similar to Hitler's "Final Solution." In addition, Muslims had to contend with more than the military power of Europeans. The Christians and, later, the Jews, had advanced materially, intellectually, and politically. They had parliaments, constitutional monarchies, republics, a free press, countless inventions, the ability to travel the globe at increasing speeds, universities, technological colleges, effective medicine, science, and women who played a role in public life. This disparity is well demonstrated by the immense gap that has opened up between Muslim and Jewish achievements in the arts and sciences. Jews, with a worldwide population of 13.3 million, have garnered no fewer than 164 Nobel prizes; Muslims, on the other hand, with a population of some 1.4 billion, have won a total of six prizes in a small number of fields, the same number as the Irish. For intelligent Muslims around the world, there is a pressing sense of having been let down by history. How, for example, is it possible, that a country such as Iran—one of the most civilized and creative countries on the planet, a culture that has created some of the greatest literature on earth, with a vibrant art and architecture, perhaps the greatest cuisine in the Middle East, music of great sensitivity and power, and a language that has spread throughout Central Asia and down through Afghanistan into India—has made no serious contributions to the modern world outside of cinema? What went wrong? Muslims face a horrid choice: Either God is punishing them for some collective sin, or God has abandoned them. It is unthinkable that communities like the Christians and Jews, whom Islam teaches to be inferior, or even outright idolaters such as the Japanese should enjoy the good things that had been promised to the Muslims in the Qur'an. But, there is a flip side: If enough Muslims believed that God is punishing them or had abandoned them, faith would be undermined, and Islamic society would break down. 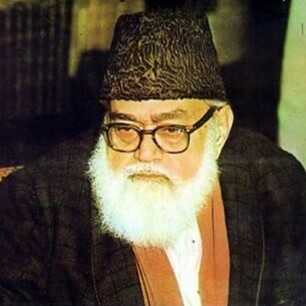 Sayyid Abu'l-A'la Mawdudi, founder of Jamaat-e-Islami, a Pakistani Islamist political party, argued that any Islamic polity has to accept the supremacy of Shari'a over all aspects of political and religious life in order to establish a truly Islamic government. His analysis associates jihad with anticolonialism and "national liberation movements" and paved the way for Arab resistance to Zionism and Israel to be considered jihad. This clearly has not occurred. Jihadist treatises such as Qutb's Milestones, Sayyid Abu A'la Mawdudi's "The Islamic Movement," or Taqi al-Din Nabhani's Nizam al-Islam (The system of Islam) have filled the intellectual hole. Muslim Brotherhood ideologue Sayyid Qutb preached a jihad not just against the West but against what he saw as a backsliding, corrupt, and "non-Muslim" Islamic world. Governments that did not implement the Shari'a (Islamic law), women who did not veil, those who listened to Western music, those who gambled, fornicated, or drank alcohol—all fell under the condemnation of jahiliyya (pagan ignorance). Such logic enabled militant Muslims to justify their doctrine of ongoing jihad even though Islamic weakness dictates a cessation of hostilities, at least in the form of a truce. Such beliefs have led inexorably to the current wave of Al-Qaeda terrorism and to the continuing aggression of Hamas and Hezbollah. There is a tendency by some Western commentators and journalists to forward moral equivalency in the name of balance. A 2005 Guardian article, for example, argued that both Israelis and Palestinians should acknowledge the harm they have done to the other and concede that both parties deserve blame. More recently, fewer Israeli casualties in Sderot are "balanced" against greater Palestinian loss of life in Gaza even though the first is the result of terrorism against a civilian population and the latter of actions taken in defense of a sovereign state. The status of Palestinians as victims remains a central plank in their platform to the present day. The Western audience may have become accustomed to such claims, but they are a historical anomaly. Until recently, Sunni Muslims never conceived their history around victim status—quite the opposite, in fact. Their view of history was, until recently, triumphalist. They have conquered; they have converted, and they have built empires. Islamist texts and sermons are replete with a new form of triumphalism: a refusal to concede that Muslims have moved to a state of inferiority, or that Jews or Christians have put them there. A recent cartoon on Hamas's Al-Aqsa television depicts a small child as he stabs George Bush to death and turns the White House into a mosque. Such programs are fantasies that fill the minds of Arab children with impossible dreams. [Professor Ali Mazrui] said that Muslims are victims of violent injustice elsewhere in the world without the globalisation of anger against the United States. Muslims in Kashmir and Chechnya in their struggle for self-determination are victims of the wrath of state security forces, he cited, for example. Muslims in Macedonia are trying to cope with discrimination from Christian Macedonians; Muslims in Kosovo are facing the risk of reintegration with Yugoslavia against their will; Muslims in Afghanistan faced the Soviet Union earlier and defeated it; the Afghans have now endured military action by the United States. Many in the modern Muslim diaspora focus on the concept of Islamophobia, conflating criticism with fear and justifying violent reaction to any offense, real or imagined, that has few parallels with any other religious community. Psychologically, the combination of an unyielding belief in Muslim superiority and a paranoid belief in the power of satanic Jews and impious Christians is a major factor in preventing Muslims from advancing. Blame is placed entirely on outside forces; there is little individual or group accountability. What does this mean for the present hudna, or any that is likely to follow it? The jihad is waged against the entire world, but Israel has become its focus. Since the jihad is deemed unending, and since Israel is going to stay, there will be no end to the religiously-inspired struggle. The Hamas covenant, for example, is unequivocal: "There is no solution for the Palestinian question except through jihad. Initiatives, proposals, and international conferences are all a waste of time and vain endeavors." The best that the international community can hope to achieve is a political solution, but this cannot occur unless a way is found not only to control the violent tendencies of the extremists but also to rework Muslim theology and social thought. There is no Muslim equivalent to Reform, Conservative, or Reconstructionist Judaism. Almost all the great Muslim thinkers of the last century have been deeply conservative. For Muslims, the challenge is to move from a worldview that sees all other religions and all non-Muslim people as inferior, Satanic, ignorant, and subject to Muslim conquest to one that coheres more closely with modern thinking in Europe, the Americas, and the Far East, where there is competition between nations and corporations, but where religious hatred is increasingly relegated to the history books. Others may have to abandon similar prejudices, but the extent of Islamic terrorism, its link to the provisions of the Shari'a, and the gulf between Islamic thinking on human rights and the norms of the original Declaration of Human Rights, justify concentration on Islamic intolerance as a special problem. It is surely time for leaders to emerge within the Muslim world capable of guiding their people towards peace and humanity. A long-term truce between Israel and the Palestinians would surely be a good start. However, it is difficult to see how Israel or the West can have confidence in Hamas's long-term aims. Its position suggests a wholesale rejection of any mediated, peaceful resolution of the conflict. Can Western governments do anything to prevent a new hudna running its usual course? Diplomats may propose carrot and stick strategies, offering financial and political incentives to dismantle the culture of violence with disincentives for any return to killing. In the end, though, the onus is on the Palestinians and their allies. If they could impose a hudna on their own side and not fire Qassam and Grad rockets, smuggle weapons, or infiltrate suicide bombers into Israel, there could be a chance for Gaza to develop. But such a scenario is a pipe dream so long as Hamas remains a viable entity. Denis MacEoin holds a Ph.D. in Persian studies from the University of Cambridge. He taught Arabic and Islamic Studies at Newcastle University and was for many years an honorary fellow at Durham University. He is currently the Royal Literary Fund Fellow at Newcastle University and author of The Hijacking of British Islam (Policy Exchange, 2007). See, for example, "jihad," Asharq al-Awsat (London), May 22, 2007; "mujahid," CNN.com, May 20, 2007; "fedayeen," Hindustan Times (New Delhi), May 24, 2007; "shahid," The New York Sun, May 24, 2007; "hudna," New Statesman (London), May 28, 2007. See, "fatwa," BBC News, May 23, 2007; "mullah," Middle East Times (Cairo), May 24, 2007; "ulama," Radio Netherlands, May 22, 2007; "ayatollah," Times-Herald (Vallejo, Calif.), May 23, 2007; "Allahu akbar," International Herald Tribune (Paris), May 10, 2007. See, "hudna," Haaretz.com (Tel Aviv), May 16, 2007. Rudolph Peters, Islam and Colonialism: The Doctrine of Jihad in Modern History (The Hague: Mouton, 1979), pp. 41-2. Ibn Sa'ad, Kitab al-Tabaqat al-Kabir, S. Moinul Haq, trans. (New Delhi: Kitab Bhavan, n.d.) vol. 1, p. 118, cited in "Treaty of Hudaybiyyah," Islam.pakistanway.com, accessed Apr. 7, 2008. Johannes J. G. Jansen, in John Esposito, ed., The Oxford Encyclopedia of the Modern Islamic World (New York: Oxford University Press, 1995), vol. 4, pp. 179-81, s.v. "Takfir wa al-Hijrah, Jama'at al-." Sayyid Qutb, Ma'alim fi 'l-tariq (Cairo: n.p., 1964), pp. 82-3. John Alden Williams, in Esposito, ed., The Oxford Encyclopedia of the Modern Islamic World, vol. 2, pp. 26-8, s.v. "Fitnah." Ibn Khaldun, The Muqaddimah: An Introduction to History, Franz Rosenthal, trans. (New York: Princeton, 1958). Charles Issawi and Oliver Leaman, Routledge Encyclopaedia of Philosophy (London: Routledge Publisher, 1998), vol. 4, p. 625, s.v. "Ibn Khaldun." Rudolph Peters, in Esposito, ed., The Oxford Encyclopaedia of the Modern Islamic World, vol. 2, p. 371, s.v. "Jihad." Peters, Islam and Colonialism, p. 35. See Daniel Pipes, "British 'Covenant of Security' with Islamists Ends," The New York Sun, July 8, 2005. Ernest Gellner, Muslim Society (Cambridge: Cambridge University Press, 1983), p. 1. Paul E. Walker, The Oxford Encyclopaedia of the Modern Islamic World, vol. 1, pp. 343-6, s.v. "Da'wah: Qur'anic Concepts"; Reinhard Schultze, Oxford Encyclopaedia, vol. 1, pp. 346-50, s.v. "Da'wah: Institutionalization"; Muhammad Khalid Masud, Oxford Encyclopaedia, vol. 1, pp. 350-3, s.v. "Da'wah: Modern Usage." Johanna Pink, "A Post-Qur'anic Religion between Apostasy and Public Order: Egyptian Muftis and Courts on the Legal Status of the Baha'i Faith," Islamic Law and Society, Oct. 2003, pp. 409-34. The Guardian (London), Feb. 7, 2005. Issawi and Leaman, s.v. "Ibn Khaldun." Christine Schirrmacher, "Human Rights in Muslim Understanding," accessed Apr. 2, 2008. Philip Mattar, The Mufti of Jerusalem, rev. ed. (New York: Diane Publishing, 1988); Yehuda Taggar, The Mufti of Jerusalem and Palestine Arab Politics, 1930-1937 (New York: Taylor and Francis, 1987); Daniel Carpi, "The Mufti of Jerusalem: Amin el-Husseini, and His Diplomatic Activity during World War II, October 1941-July 1943," Studies in Zionism, Spring 1983, pp. 101-31; Matthias Küntzel, Jihad and Jew-Hatred: Islamism, Nazism and the Roots of 9/11 (New York: Telos Press, 2007). Bernard Lewis, What Went Wrong? Western Impact and Middle Eastern Response (London: Weidenfeld & Nicholson, 2002). The Guardian, Feb. 8, 2005. "Child Stabs President Bush to Death and Turns the White House into a Mosque in a Hamas TV Puppet Show," Middle East Media Research Institute TV Monitor Project, clip no. 1729, Mar. 30, 2008. Kuwait Times (Kuwait City), Oct. 9, 2002. The Covenant of the Islamic Resistance Movement, Aug. 18, 1988, The Avalon Project at Yale Law School, accessed Apr. 2, 2008. Ann Elizabeth Mayer, Islam and Human Rights, 3rd ed. (Boulder: Westview Press, 1999), pp. 48-50. Beverley Milton-Edwards and Alastair Crooke, "Waving Not Drowning: Strategic Dimensions of Ceasefires and Islamic Movements," Security Dialogue, Aug. 20, 2004, pp. 298-9, citing the 1988 Hamas covenant. Related Topics: History, Islam, Radical Islam | Denis MacEoin | Summer 2008 MEQ receive the latest by email: subscribe to the free mef mailing list This text may be reposted or forwarded so long as it is presented as an integral whole with complete and accurate information provided about its author, date, place of publication, and original URL.